It is widely understood the phrase, “In politics it’s all local” is credited to former Speaker of the House, the late Tip O’Neill. It was his way of saying that people will vote according to the way issues impact their lives personally. He knew what that meant well enough to enjoy a very long and successful career in politics, and it is an axiom that holds true even now. A fresh example being the recent outcome of a very controversial law drafted by and forced on Houston by the openly homosexual Mayor Annise Palmer. 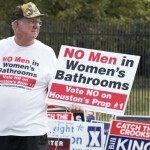 Officially called HERO, (Houston Equal Rights Ordinance) it quickly came to be known as: the “Bathroom Law”. Following outrage by many in this 4th largest city in the US, a federal court ordered the law be repealed or a measure be placed on the ballot for voters to decide. Houston put it to the voters and placed Proposition 1 on the November 3rd ballot. Given the opportunity they decided – overwhelmingly, to defeat the ballot measure. You see, Houston citizenry were not very well considered in the initial decision to enact the law. Even though they were given an opportunity to debate it, the city council passed it anyway ignoring the obvious contention engendered. The problem with the law? 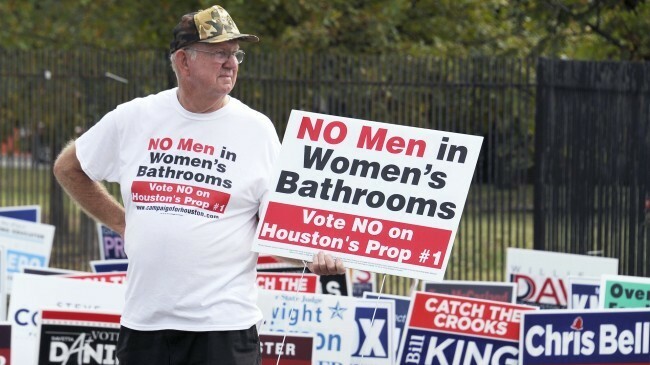 In the minds of Houston’s citizens, it placed their safety, security, and worst of all, their privacy in jeopardy – all under the rubric of anti-discrimination. The ordinance was created as a means to ensure no person, regardless of race, creed, religion or sexual preference faced any kind of discrimination, including the sexual preference for trans-sexuality or transgenderism. To accommodate these people, the law mandated that all public restrooms be made for use by both male and female or face a heavy fine. Of course, such things are the “new normal” now in the body politic. So, following the election results, bastions of the disappointed liberal/progressive media mocked and chided the results by deriding the opponents of the defeated proposition because they chose to use “fear tactics” to overturn the measure’s anti-discrimination intent. Who knew the world of religious liberty was murky? And, “possible threats” by sexual predators? Really? The implication is clear enough: Ms. Ross, like so many baked-in liberal pundits just doesn’t seem to get it. But sane Houston voters saw through the nonsense and took back control from governmental intervention and over-reach. This time, the trend of the secular/humanist cram-down took it on the chin. Centuries of western civilization’s habit regarding decency and propriety prevailed… this time. Could it be a trend? At the very least, it’s too soon to say for certain.